The non-clinical spotlight series exists to shed light on all of the interesting paths that physical, occupational, and speech therapy professionals have taken. 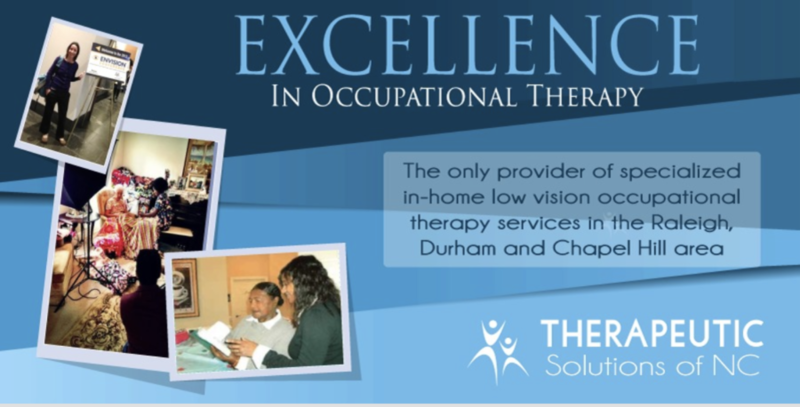 Today’s spotlight focuses on Tomeico Faison, OT, who went from occupational therapist to entrepreneur. She’s now a business consultant, certified business coach, and CEO of Therapeutic Solutions of NC. Want to be featured on The Non-Clinical PT? Know of someone who’d be a great person to interview? Please reach out today! 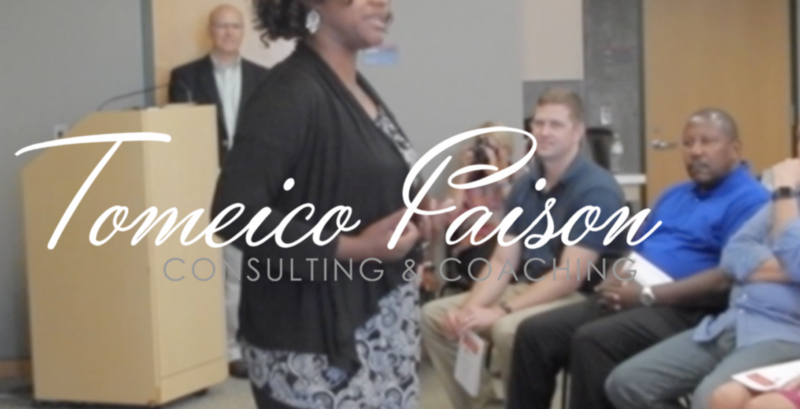 Tomeico Faison, OTR/L, CEO of Therapeutic Solutions of NC, Business Consultant and Certified Business Coach at Faison Consulting. Where did you go to OT school, and when did you graduate? What did you do when you first finished OT school? When I first finished, I worked at a psychiatric facility. I worked there for two years. I enjoyed the work, but preferred to have more control over my schedule, especially after becoming a mom. I decided to open Therapeutic Solutions in 2003, due to having a premature infant. I saw the need for specialized consult services for aging persons with developmental disabilities. Did you know you wanted to start a business right away? How did you make that decision? Yes, I have always loved entrepreneurship ever since I was a child. In fact, I wanted to major in marketing, but was advised not to do so, and to instead focus on healthcare so that I would have better job security. I was a first generation college graduate from a home with a very low socioeconomic status. Nobody wanted me to fail, and I knew I wanted to get out of poverty. Despite my decision to go into healthcare, my heart has always been in entrepreneurship, so it was natural for me to make the shift back to my first love. Did you know what you wanted to do with Therapeutic Solutions right away? Was your vision different in the beginning? I knew that I wanted to be a consultant for aging persons with developmental disabilities, as I enjoyed working with the population, but I also based this decision on a needs assessment I had already completed. In fact, I completed it back in my second year in graduate school for a community-based practice class! After I completed the assessment in school, my eyes were open to the possibilities of niche services, so it was a matter of time until I served that niche! The vision has certainly evolved, but we have consistently worked with underserved populations. At what point did you decide to start expanding into additional niches? I decided to start expanding when the workload was too much for me to handle alone. I had good rapport with other therapists who wanted to work in non-traditional occupational therapy settings, and some of them had their own ideas of niches to serve. Luckily, I was able to provide these therapists with flexible schedules that helped us serve the growing needs of our clients. As I continued to see the potential for these niche services, we continued to recruit to fill those niches. What are the niches that you offer? Did you have a business mentor or partner along the way? No, but how I wish I did! I used a business consultant (whom I love and still use) that I paid about twice a year. I also used SCORE occasionally. Now that I am more experienced, I have learned the value of having mentors, coaches and consultants. It is no longer that I cannot afford their services, it is I cannot afford NOT to have their services. I have a mentor whom I look up to as a woman of God, wife, mother, and business consultant. We meet a couple times a year and I call her for “good ole” encouragement and inspiration. I also have an excellent certified business coach who helps me process some of the challenges I face and spit out the answers that are already inside of me! Now, I also have an advisory board and a great member who is expanding my knowledge on strategy and systems. Finally, I have distant mentors and consultants! I read their books, follow their teachings, listen to their webinars, etc. You don’t know what you don’t know, and being surrounded by smart people who are willing to help you can take you amazing places! My biggest challenge was when we started billing insurance in 2013. I had, and continue to have, a huge learning curve in this area, as it seems that once you have gotten it down, it changes! Another challenge is that I am an idea person, so I love to be creative and start new things— sometimes too many at one time. Finally, learning to analyze data has been challenging, but I have a mentor who is pushing me outside of my comfort zone and teaching me to know my numbers. What were some of the biggest rewards? I have a flexible schedule. I want to have time for ministry and my family, so if I need to go to church or on a field trip, I can do it. At the end of the day, I want to know that I have pleased God and have been there for my family while being of service to others, as well. I have more control over how I practice. Our focus is on quality and service and we will not compromise that in exchange for productivity. Our clients are satisfied, and I love hearing the great testimonials about the services we provide. At what point did you make the leap from clinical care to leadership? I took the leap from clinical care to administrative work only in 2013, when we began billing insurance. I could not find a model for growing in-home low-vision services and billing insurance. I only found solo practitioners, and I needed a system that could support growth. I was told by a low-vision optometrist that there was no model, and I needed to create it! Wow! And so I did but it required a lot of time, patience and money. Do you still treat patients? Occasionally, I fill in to work with people. I only worked with one person last year. It was a referral for community mental health, and the OT I was hiring in that area was not ready to start, so I started off with the client until she came on board. You’re also a business consult and coach. What do you do in that role? I love, love, love consulting and coaching! As a consultant, I teach and provide advice to health and human service entrepreneurs who want to create niche businesses. As a coach, I help health and human service entrepreneurs design the businesses that they dream of, based on what they really want to do. Coaching consists of asking powerful questions to help a person define what it is they want to do and then helping them to maximize their God-given potential. In other words, as a consultant, I can answer questions. Again, you don’t know what you don’t know. If someone asks me to help them locate local coverage diagnostic codes (LCD codes) on the Medicare website so they can decrease denial risk, then I can show them how to do it. However, simply showing someone how to do something they don’t know how to do is not exactly coaching. Rather, if someone tells me they hate their job, but they don’t know what business direction they should go in, then I can coach them to help them create a vision for their life and business, and help them create a plan to get there. The answers are in inside of them, and I coach those answers out. In a sense, a coach can help a client feel they have the permission to be the person (or the professional) who they were already made to be. I also write affordable ebooks that are informational or inspirational. All of my books are on Amazon. Do you have an organization you work with, or do you work on your own? My consulting company is Faison Consulting. Do you still spend time working with Therapeutic Solutions, or have you transitioned fully into consulting and coaching? I still spend time with Therapeutic Solutions. The office is behind my house, so I am frequently there, working on growing the infrastructure for growth. This growth will include cultivating more leaders that can take over some of the things I do, so I have more time for writing, consulting, and coaching. What is a day (or week) in the life like for you these days? What types of decisions do you make in your roles? Typically, I get up and have prayer and meditation, and then take one of my two sons to school. When I get back home, I take a walk or go to the gym. I write in my home office almost daily, check emails, and then off to the office complex. At the office, I am working on strategic planning, communicating with therapists and our administrative staff, and studying the numbers. Some days, I am out presenting and networking. I consult and coach at least once per week, sometimes by phone, and sometimes at our office or local coffee shops. Sometimes, my mommy hat and business hat overlap, and the schedule goes out the window! If I have to pick up a sick child, then work may go on hold until after 10 pm! What are the pros and cons of taking a path like yours? Pros include flexibility, control over my practice, and freedom! Cons include some unpredictably and start-up investments that impact cash flow. My risk tolerance is high, partly because of my background. As I stated earlier, I am from a very low SES background. We got evicted often when I was young, and we lived with a lot of risk. Instead of regretting my past, I am using it to propel me into the possibilities. Try it—what is the worst that can happen? If “it” does happens, we deal with it and move on. My goal this year is to have a solid infrastructure for Therapeutic Solutions with a leadership team that promotes strategic growth. I also plan to publish a few more e-books and continue consulting, coaching, and inspiring those to create health and human service niche businesses that are fun and profitable! I also have a powerful background story that I want to use more in speeches to inspire everyone to know that they can do whatever it is they are made to do, no exceptions, no excuses. Also, I am in the process of working on entrepreneurship/business skill set modules for an OTD program in Montana. I am working with Dr. Twylla Kirchen, who is the program director for the first (and only) OT program in Montana, Rocky Mountain College. Dr. Kirchen and I went to OT graduate school together at UNC-CH, and together we are going to bring entrepreneurship into academia to promote community-based job creation. We are very excited about bridging this gap! Finally, not work-related, but I am forcing myself to take more vacations! Do you have any books, podcasts, or courses that you recommend? I always recommend the E-Myth Revisited. I also like the 7 habits of Highly Effective People, The Magic of Thinking Big, and Predictable Success. Do you have any general recommendations for someone considering a career path like yours? systems, and commit to being a life-long learner of business skills. Last, but not least, give thanks and be grateful! Thanks for your insight, Tomeico!